As my part of an Art Trade with [iconname]sammychasity[/iconname] I drew her cute Kuma! I'm not sure what's the deal with the tail, but I think it's really cute! and glad you like it! omg, I hope they're getting along x3 and glad you like it! now I'm imagening it being a naughty tail trying to undress her in unfit situations, omg. 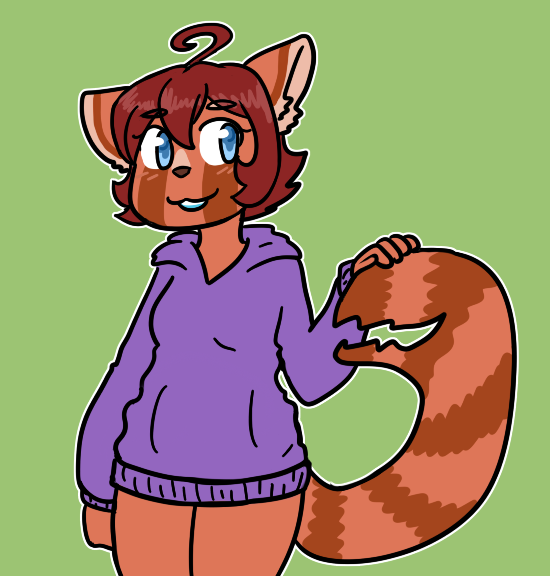 Red panda with a tail like that absolutely adorable.